… and our technology makes your life better! The future of interviewing is now. 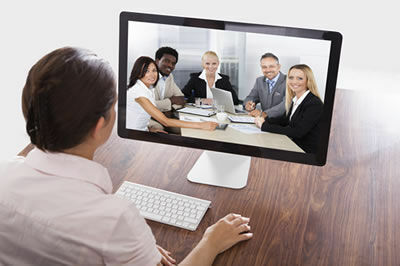 An automated online interview… without losing the personal touch! Somewhere along the way, we think things got a bit off track. With technology advancing at lightning speed, the market has become filled with slick tools, all promising to help you source talent. But when you pull back the curtains, you often find that impressive looking technology falls short when it comes to actually helping you identify and hire the BEST talent. At AlignMark, sound science comes first. For over 40 years, our experienced staff of Industrial Psychologists have partnered with clients to create valid, legally defensible sourcing and selection processes. Innovative technology is always an important piece of the puzzle, but great hiring should ALWAYS start with great science. Typical online interview? Not even close! Times have changed. The traditional, one-sided, “you-ask-all-the-questions” approach to interviewing is a thing of the past. Today’s top job candidates are demanding more. More information. More flexibility. More interactivity. If you want to attract top talent, you’ve got to be a little, shall we say? Non-traditional. Introducing AccuRecruiter, the market’s first SMART video interviewing experience. 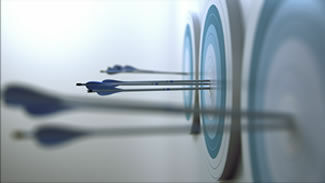 Blending sound science with innovative technology, AccuRecruiter offers each candidate a truly unique and interactive experience. It’s a two-way street. They learn about your company and what it’s like to work there, you learn about their experience, skills, and interests. When it comes to selecting the best candidate, it’s not always a matter of “what you see is what you get”. Unfortunately, what you see in a typical interview can be FAR from what you get after a few days on the job! If you’d like to predict a candidate’s job performance four to five times better than a typical interview, AccuVision can help! Through a challenging online job simulation, your candidates experience a realistic “day on the job,” while the system collects critical information about their performance. What’s all this mean for you? It means you’ll be leveraging a valid, legally defensible assessment tool. More importantly, it means you’ll be making better hires! 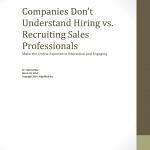 Our Most Recent White Paper… Why Companies Don’t Understand Hiring vs. Recruiting Sales Professionals?